Enter the wacky world of WuzzIts and watch to see what they morph into next! 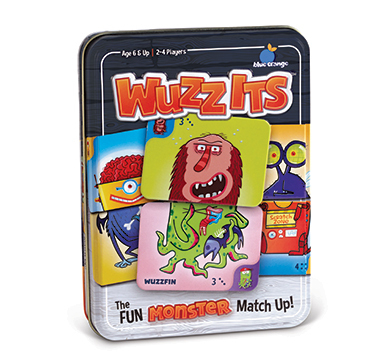 Clever choices and a sharp eye are rewarded in this fun monster match up. 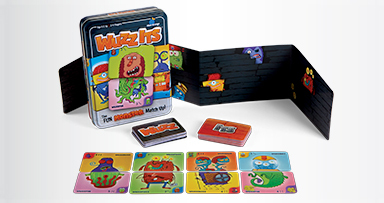 The WuzzIt population is divided in five families, but the mischievous WuzzIts like to combine with each other to create a confusing cast of characters. The right moves will help you match up the monsters. 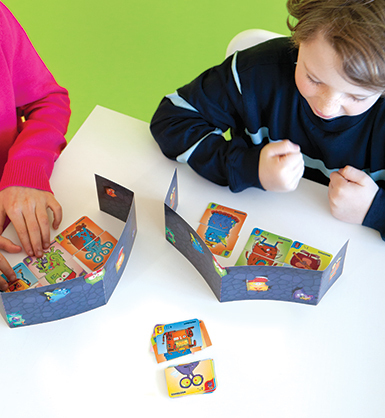 On each turn, players choose one of their top or bottom cards to exchange for a surprise card. Playing is easy, but victory is tricky. Round up the most WuzzIts to win!